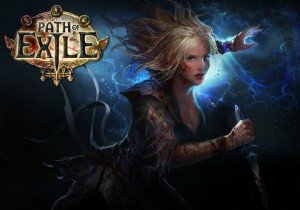 Since the game’s release in October 2013, Path of Exile has exploded into more than just a community of 11.2 million players worldwide, it has become a massive RPG phenomenon… and it is about to get even bigger! Grinding Gear Games today reveals details on Path of Exile: The Awakening. Scheduled to release in June, the World of Wraeclast changes forever. Path of Exile: The Awakening takes the player on a dark journey as they descend into the depths of nightmare. Great secrets about the world of Wraeclast will be discovered and even greater battles will be fought. In parallel development alongside Path of Exile‘s previous expansions, Path of Exile: The Awakening is more than just Path of Exile‘s fourth act – it improves and expands upon every aspect of the game. With a crazy new twist on the iconic Passive Skill Tree and numerous systems changes, this expansion has been internally dubbed Path of Exile Version 2.0.0. The Awakening completely changes the Path of Exile experience and includes new items, monsters, maps, skills, and many quality of life improvements suggested by the Path of Exile community. ‣ The Beast Awakens: Act Four continues Path of Exile’s storyline. The time has finally come to venture into the center of corruption itself and drive a blade through its black heart. ‣ Explore Beyond Highgate: For the first time since launch, The Awakening introduces completely new areas, monsters and end-game maps to expand the world of Wraeclast. ‣ Defeat Legendary Bosses: Experience climactic boss encounters with characters from Wraeclast’s past such as Voll, Daresso, Kaom and many more. ‣ Powerful New Skill Gems: With new classes of skills such as elemental Golems that fight by your side, warcries, and several new support gems, players are able to create new clever and intricate builds. ‣ Socketable Passive Tree: Collect and craft Jewels that can be socketed into the Passive Tree to drastically change the tree itself. ‣ Masses of New Gear: Find more than 70 new Unique Items and discover an entirely new set of equipment – the Maraketh Weapons. ‣ User Experience Improvements: We’ve made extensive user interface improvements, added more customization options and implemented many community-suggested changes. ‣ Complete Rebalance: We’ve reconsidered every core game system and rebalanced Path of Exile from the very first level. With these enhancements, both new and experienced players will enjoy The Awakening. Players can jump into the new content with Path of Exile: The Awakening Closed Beta beginning April 20. An international launch, including traditional Chinese and Russian localization, along with more languages and countries will be added throughout 2015. See the expansion in action in our special preview video! Game Update 04 Hits PlanetSide 2. Check out new updates for PlanetSide 2 including a new roadmap for March!